There is no one-set price for earning a pilot license. A variety of factors influence how much flight training will cost. Instructor rates and aircraft rental rates vary with flight schools and some students require more than the minimum required hours to earn a rating. One constant factor is that flight training is expensive. The Iowa Department of Transportation estimates that it costs between $4,000 and $7,000 to earn a private pilot license. Expect the costs to be a few thousand dollars higher if you want to earn a helicopter pilot's license. Further training for instrument, multi-engine, flight instructor and commercial pilot ratings, can increase flight training costs to $50,000 and higher. Grants are available for flight training, but they are difficult to find and are unlikely to pay for all of your flight training. A typical grant ranges from $500 to $2,000. In addition, available grants are limited and the competition to get them is stiff. If you think it sounds hard to get grants, you are right; be prepared to spend a lot of time searching for and applying for them and you just might gain the reward of free flight training. Unlike loans, grants do not have to be paid back, so they are definitely a desirable asset for flight training. Some universities offer degrees in aeronautics, along with flight training. Students can apply for government grants if they attend an accredited university that accepts government student financial aid. These are the same grants, such as the Pell grant, that are offered to other types of college students. You have to meet income requirements to qualify for government grants and loans. There are pros and cons to this type of government grant. Government grants will only pay for part of your tuition. However, if you qualify, you can get subsidized and unsubsidized student loans to pay for the remainder of your tuition and flight training. Along with your pilot license, you earn a degree than may help you get more lucrative flying jobs than if you did not have a degree. 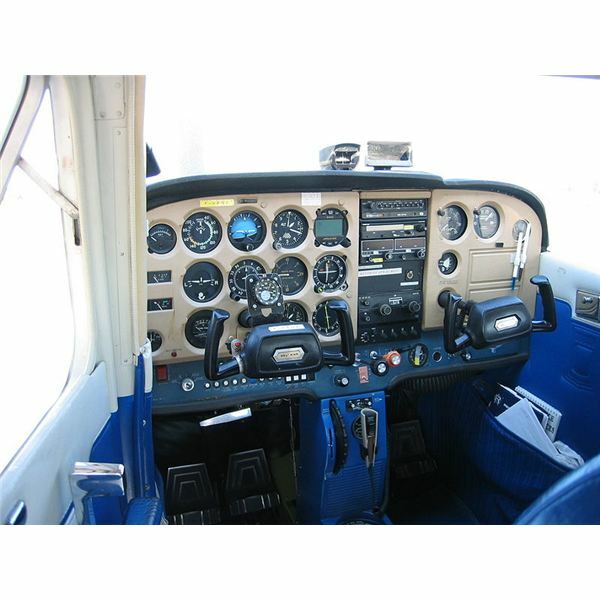 Your overall costs will be higher because you are paying to get a university degree as well as pilot's license. It can take longer to get your pilot license since you have to complete college coursework as well. If you do not want to fly professionally, this route to a pilot's license is probably not worth it. If you are interested in getting government grants, look around for universities that offer aeronautical degrees and ask them if they accept government student loans and grants. Apply for grants and loans at the Federal Student Aid Website: https://www.fafsa.ed.gov/. Ask the schools if they offer partial or full scholarships. Like grants, scholarships do not have to be paid back. Note: Scholarships are difficult to get and usually are only partial. Some flight clubs and organizations offer grants for flight training. Each club or organization sets its own criteria on qualifications to get the grant and the amount given for training. For instance, some may only offer grants to women; others may only provide grants for beginning students. Look for flying clubs and organizations in your area. Check flight-training centers, pilot supply shops and airport restaurants near flight schools for flyers and brochures. Leave no stone unturned, talk to anyone and everyone who has anything to do with flying. Your flight instructor, the customer service desk at the flight school, sales people at pilot supply shops, aircraft mechanics, wait staff at airport restaurants near flight schools and fellow pilots are all potential sources of information on flight clubs and organizations. Another good resource to check are the classified sections of flight magazines. Sign up to be a member for the Aircraft Owners and Pilots Association (AOPA). AOPA has online resources, a magazine and sends information through the mail on resources for pilots. Contact the different clubs and organizations and ask if they offer grants. Join the clubs and organizations, if applicable, before applying for grants as some grants are only available to members. Even if you do not have to be a member, there is still an advantage to membership. Members may receive information through brochures, fliers and meetings that provide insight into the grant process. In addition, membership may give you access to other pilot members who you can talk to about grants in and out of the club. Another advantage to some flying clubs is reduced flying costs. Some of these clubs have members who allow other members to use their planes for a rental rate that is much cheaper than flight schools. Ultimate Aviation Links has an incomplete list of flying clubs and organizations online at https://www.ultimateaviationlinks.com/flyingclubs.php. If you need more money for flight training after receiving grants, consider using a credit card or getting a loan from a private bank. Loans require proof of income and a good credit score. A co-signer may help you qualify for loan if you do not qualify by yourself. Learn more about flight training loans and where to get them at: https://www.brighthub.com/science/aviation/articles/7259.aspx.